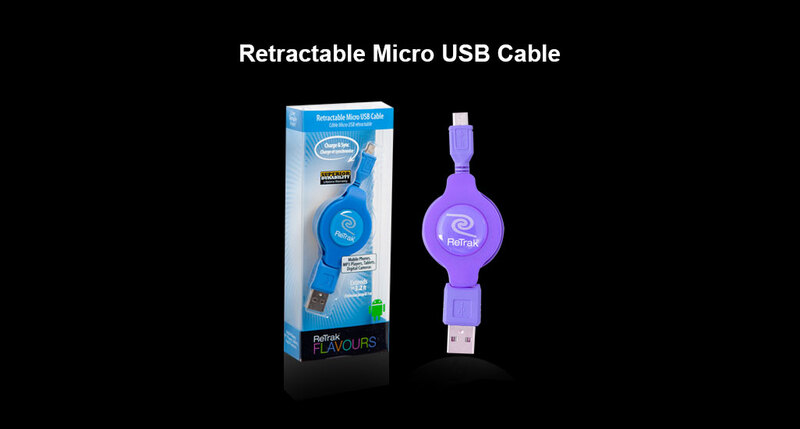 Emerge Technologies is a leading manufacturer of retractable consumer electronic accessories and peripherals. With over 150 products, Emerge markets to major retailers worldwide under the ReTrak brand name. In this new era of portable devices, ReTrak offers the unique appeal of "true mobility". Consumers are moving away from cumbersome corded accessories - preferring the ease and convenience of retractable cables. Our commitment to innovation and design has led to the introduction of unique products which enhance virtually every aspect of mobility. From iPod to cell phone and computer to gaming we have solutions to vastly improve your mobile experience. Always be able to charge, sync, or upload photos to your computer from your Smartphone, tablet, camera, or any device with a Micro USB port. 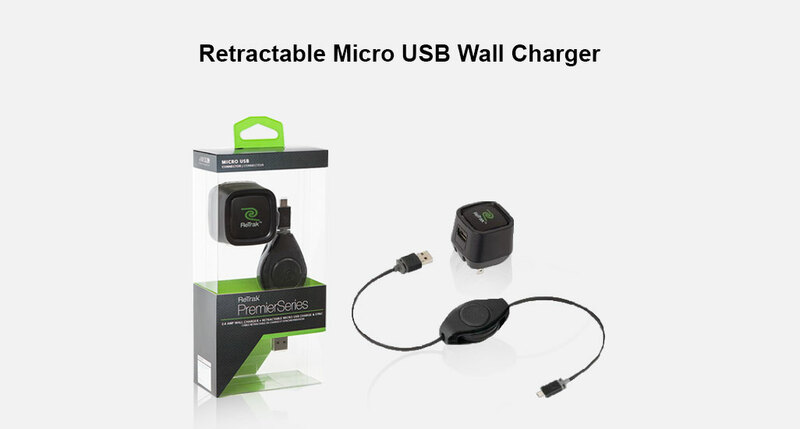 The Retrak Premier Series wall charger and retractable charge and sync cable with Lightning connector is designed to have form meet function with this stylish and practical charging solution. 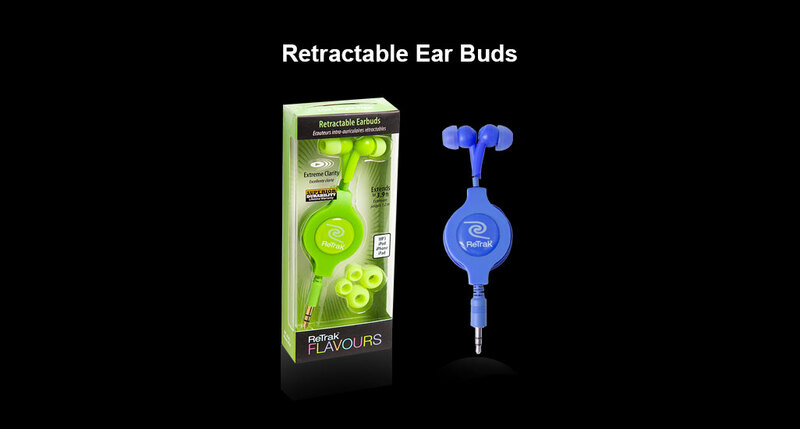 Carry a high fidelity sound studio in style wherever you go with the blue ReTrak retractable stereo earbuds. Just pull the exact length you need from the retractable 3.9' cable so there won't be any extra cable hanging while you work, exercise, or drive. Set up is a snap! 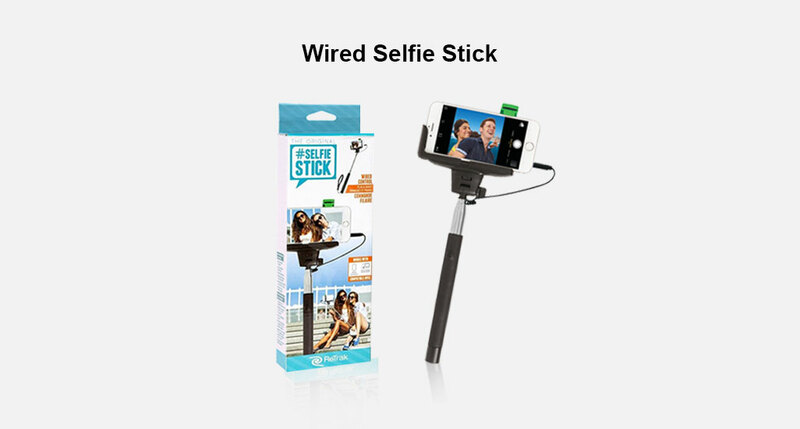 Just pair your phone via Bluetooth and press a button for the perfect selfie.